You know what’s handy? Waking up in the morning, firing up your phone/computer and being able to scan a super quick (but curated) rundown of the best of what lies ahead. So here it is, our list of fun things to do in Los Angeles for today, Thursday, March 21, 2019. 3. [6 p.m.] JAPAN HOUSE presents a new series called “Movie & Bites” a screening and tasting event featuring acclaimed food stylist Nami Iijima and 2009 comedy film “The Chef of South Polar. Iijima was the food stylist for the movie and guests will be treated to dishes straight from the film. 3. [7 p.m.] Harry Potter can be religious text for some and Harry Potter and the Sacred Text Podcast takes it to a whole other level when they take their podcast live to the Bootleg Theater this Thursday. 5. [7 p.m.] Lord of the Rings trivia night at Horse Thief BBQ in DTLA. 6. 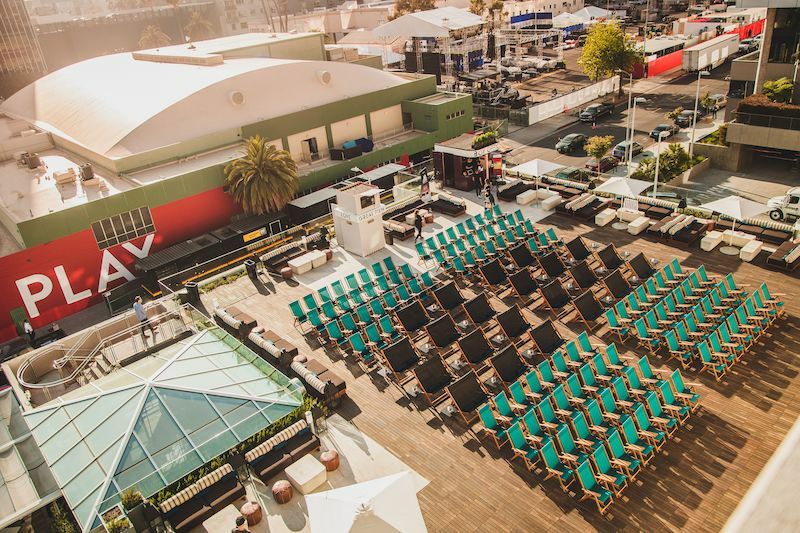 [8 p.m.] Rooftop Cinema Club returns to the rooftops of LEVEL in DTLA and NeueHouse in Hollywood with multiple screenings this week that include The Greatest Showman, Bohemian Rhapsody: Sing-along and more. 8. [various] The Egg House visits Los Angeles March 20 – 24 for an egg-themed, 12,000-square-foot pop-up multi-sensory experience showcasing a series of installations and activations around egg themed creations. 10. [various] PaleyFest returns to the Dolby Theatre March 15 – 24 for a 10-day television festival featuring stars and creators from some of your favorite TV shows. PaleyFest is a culmination of screenings, panel discussions, Q&A’s and behind-the-scenes looks of a variety of TV shows you know and love.